February 1, 2015 – On Jan. 22, 2015, the Ivy Football Association honored eight distinguished alumni of Ivy League football at a dinner in New York City. For the fourth time since 2001, a DU was honored: General John M. Paxton, Jr., Assistant Commandant, United States Marine Corps. 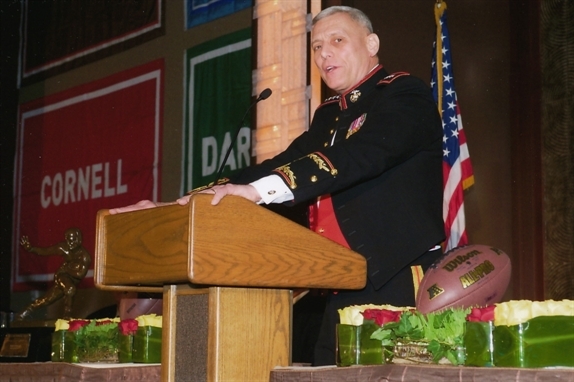 Brother Paxton was promoted to General and assumed the duties of Assistant Commandant of the Marine Corps in December 2012. 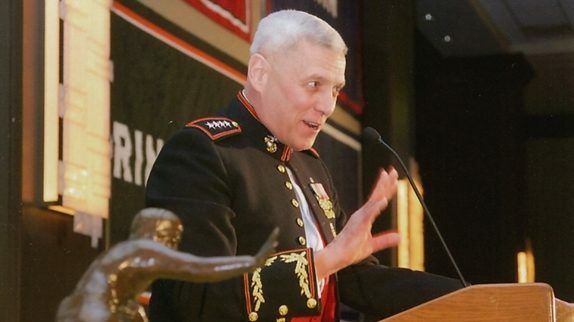 Just previously, he served as the Commander, Marine Corps Forces Command; Commanding General, Fleet Marine Force Atlantic; and Commander, Marine Forces Europe. 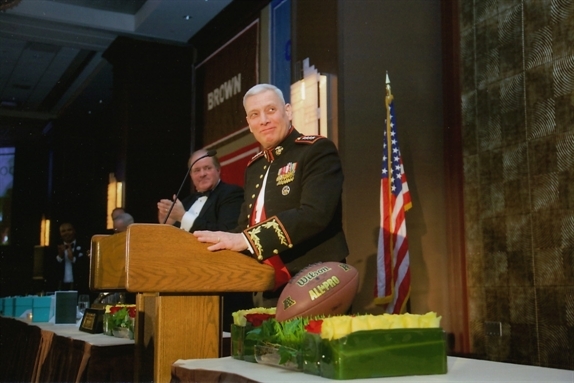 On Jan. 21, 2015, more than 60 classmates, contemporaries and friends honored Gen. Paxton at a dinner in New Jersey organized by classmate Mark Clemente ’73. See pictures from the IFA dinner below.